Playa Del Rey, CA (PRWEB) August 30, 2010 -- With the sudden surge of interest in UFOs, are the government and media deliberately suppressing the one case that would blow the cover-up wide open? 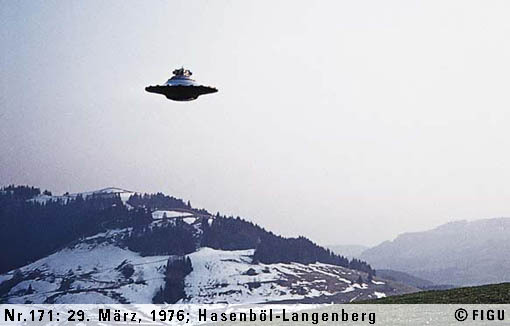 Michael Horn, the U.S. spokesman for Swiss UFO contactee, Billy Meier, will present supporting evidence for that theory in two upcoming public appearances. According to Horn, the whole UFO topic has been turned into little more than entertainment with the media comfortably promoting only anecdotal and inconclusive evidence. "The fact is that while there has been some actual extraterrestrial UFO activity in the past, most sightings are either secret military craft or explained by natural causes. The clear exception, the Meier case, has been the one cause of concern for the CIA and other intelligence agencies for over 35 years. The 21 documented assassination attempts on Meier's life show that someone's been taking it very seriously." Horn thinks that the governmental powers that be are glad to see people chase what he calls "lights in the sky" but want to make sure that Meier's documented, advance knowledge of hundreds of important scientific discoveries, from black holes, dark matter, water on Mars, to the deadly threat of the Apophis asteroid, don't get their attention. When asked why they would want to cover up such ironclad evidence, Horn said, "They believe that Meier's proof of still ongoing extraterrestrial contact would overturn our religions, even stop wars and reinforce the oneness of, and need for peace between, all peoples on Earth. They also fear that it would destabilize society to admit that advanced, space traveling human beings operate freely without any terrestrial control. But the Plejaren extraterrestrials emphasize that we, the people of Earth, are the biggest enemies to our own future survival...and they're trying to help us to avoid self-destruction." Horn feels that those who could have made a real difference failed to do so. "There's no shortage of so-called 'UFO experts', authors and others who've jumped on the UFO bandwagon despite not having any real extraterrestrial related evidence. And they avoid the Meier case for one simple reason - they can't make a profit from it. So they don't mention Meier's contacts in their media appearances, preventing people from benefiting from the information. Those who are most vocal about 'ending the UFO cover-up' are, ironically, most actively perpetuating it because, like the media, they see Meier as...bad for business." Horn - who says he has personal proof the ET contacts are authentic - claims there's another reason why the Meier case is strictly off limits. "The media and the powers that be know that if people realize just how badly they've been lied to about things like the coming worldwide consequences of the BP Gulf disaster, the anger and frustration could really boil over. "But they've overlooked one important thing. The internet revolution cannot be undone and now each person who comes upon the Meier information can 'publish', text and tweet it freely and wake up countless others. Initially it's a slow process but it will ultimately overwhelm the media suppression and, in time, the truth will prevail."